Three Portraits – TRUE? GOOD? BEAUTIFUL? 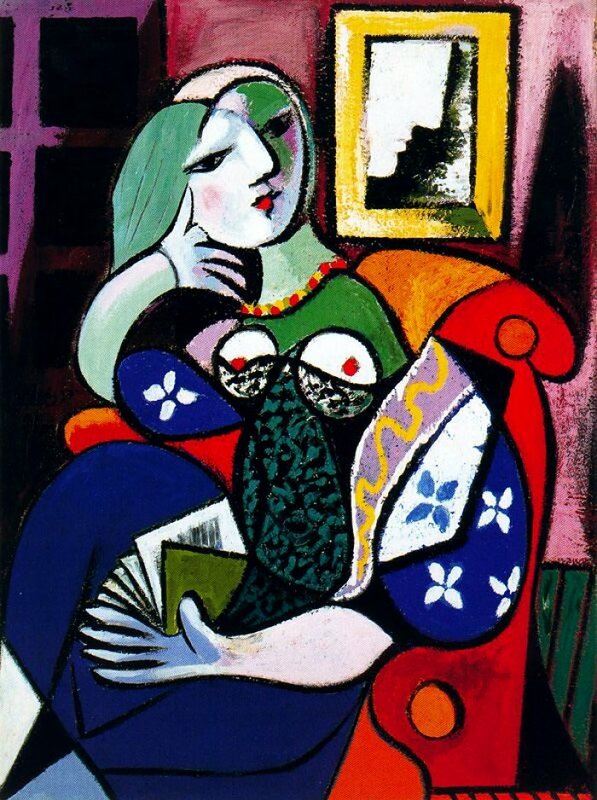 Consider three famous portraits: Johannes Vermeer’s Girl with a Pearl Earring (c. 1675), Henri Matisse’s Portrait of Madame Matisse (1905), and Pablo Picasso’s Woman with A Book (1932). Seeing them side-by-side may prove instructive, for each work forms a punctuation mark for an era. I doubt if the three great painters responsible for them saw them that way, though all three undoubtedly thought them masterpieces, as do critics and the public today. Notice how easily I used evaluative terms in that last sentence to make truth claims that I cannot possibly warrant. On what grounds can I call these painters “great”; how could the painters justify thinking them “masterpieces”; are these the same grounds used by critics and the public today? So let us try something simpler. Which painting do you think is the most beautiful? What makes it beautiful? Let us get even simpler then. Which of the three paintings do you like best? Really? Why do you think so? I don’t mean to annoy you, but you see I am doing something in this hypothetical conversation that seems strangely rare. I am taking what you say seriously, and in doing so I find myself confused about your meaning, so I am taking the trouble to ask you to explain it. I am sorry if I am being rude, but since you thought it important enough to say to me, I think it important enough to understand your meaning, and that understanding requires more information than you are telling me. Is it possible that I am not the only person confused by declarations of beauty, or do others simply dismiss such claims as the white noise of empty preference? I can’t answer for others, so I will simply seek some sense in your preference. The very simplest kind of declaration is one that involves your expression of your own taste. To say, “I like the Matisse painting best,” is a safe declaration. It is equivalent to saying, “I like pistachio ice cream best.” Should you be asked to warrant this kind of claim, you only have to say something equally safe in response, such as, “I like green.” These kinds of declarations say nothing about the subject under discussion. They only say something about the speaker. Granted, to a coherentist, this truth claim is of a kind with all others, for she is entitled by her justification schema to call anything she chooses a “fact,” so long as she refrains from asking anyone else to agree with her (see “What Is the Virtual Circle?“). But is she? Now even with such a simple declaration, we face issues. The first is whether taste can be improved. That certainly was the argument of the Aesthetic Movement of the late Victorian age, which thought it possible to inculcate taste just as one might inculcate knowledge of a foreign language. The implication of such an ambition is that something exists that can be isolated, nourished, and refined, that beauty, like goodness, has real existence. John Ruskin summarized this view: “All that is good in art is the expression of one soul talking to another and is precious according to the greatness of the soul that utters it.” I find this kind of talk, so plentiful in art education circles, to be nonsensical because it ties our taste in the beautiful to the true and good. This approach may have been embraced by Romantics, who felt truth, goodness, and beauty to be a single transmission of a pantheistic God to receptive hearts, and it may have been paid lip service by the Victorians, who tried mightily to uphold the Romantic tradition (see “The Victorian Rift“). Epistemological modernists find it all a tad too convenient, simplistic, and comforting. Postmodernists find it ridiculous (See “What Counts as Justification?”). That may be, but the appeal to something in the work itself does establish the 1:1 relationship between our claims and reality that correspondentists demand and judgments of truth imply. Can we find it not in the timeless quality of the work or the depth of the artist’s soul as Ruskin might have sought but in the cultural norms that set standards of aesthetic worth? Can we then say that we have found the correspondence we are seeking to warrant our claims of artistic quality by appealing to the standards of our day? Perhaps we should echo the words of the art critic Louis Leroy in one of the first critiques of the work of Claude Monet in 1874: “Impression I was certain of it. I was just telling myself that, since I was impressed, there had to be some impression in it — and what freedom, what ease of workmanship! A preliminary drawing for a wallpaper pattern is more finished than this seascape.” And there you have it. If cultural values provide the standard of quality necessary to justify an aesthetic judgment, what accounts for changing tastes? Leroy and the entire artistic establishment were appalled by an early example of a painting style that now is revered as one of the greatest movements in art history. If we accept cultural taste as a real criterion, how do we explain the conflict in standards from culture to culture, either temporally as in this case or geographically? We might think our aesthetic standards have improved, for any of us would happily buy any of Vincent van Gogh’s works for more than the four hundred francs paid for the only one he sold in his lifetime, but perhaps we are only thinking in terms of monetary value, which this case proves is hardly a case of intrinsic quality. Any appeal to cultural values reduces artistic critique to personal taste writ large. To say, “It is good because everybody says it is,” makes the same kind of truth claim as, “The earth is the center of the universe because everybody says it is.” As a correspondence claim, this might just barely be called an appeal to authority. It might more defensibly be termed a coherence appeal based on public taste built on the accidental intersection of place and time (see “Cultural Consensus“). I argue that taste can neither be appealed to nor imparted until its components become subject to analysis. In this instance, I find the postmodern disdain for “tastemakers” as arbiters of quality and aesthetics to be entirely warranted. We are then driven to ask if the postmodern response—meaning a coherence virtual circle justification — is the only option we might appeal to. And that puts us right back to liking pistachio ice cream. If we cannot depend on taste as a standard of quality in art, what can we appeal to in any effort to justify our judgments? Or is the entire notion of artistic quality merely one more ridiculous grand narrative modernism has foisted off on us to keep us in the thrall of critics and taste mavens? If true, then we can appeal to the notion of “masterpiece” and “genius” with a kind of nod and a wink, knowing that the terms really connote popularity and monetary values rather than any goodness inherent in the work (see “Is Goodness Real?“)? We might at least consider an alternative since so much rides on our convictions. For a surrender to subjectivism in judgments of quality may not stop at art critics. Granted, they are easy targets. But if their judgments are questionable, can we then apply the same objections to movie critics? Book critics? Fashion design? Course grades? College admissions? Job performance ratings? Jury decisions? The list goes on and on because the problem is the same: where are the standards that justify a correspondence judgment of quality (see “What Do We Mean by ‘Good'”?)? In art as in all other instances, we have only two imperfect options. The first is to appeal to standards of quality that have been articulated and justified and which can be repeatedly and consistently applied to various examples of the kind of thing being judged. That might work very well in judging the quality of dachshunds in dog shows as opposed to portraits of dachshunds playing poker. The American Kennel Club has done a wonderful job of defining nearly every physical element of the breed standard. Now you are perfectly justified in wondering where the breed standard came from and how it relates in any meaningful sense to all the cute wiener dogs out there. That is a good question, but let it simmer while we ask if pictorial art, books, fashion, or college courses have anything comparable to the nineteen hundred words the AKC lays out for the dachshund. The answer is, of course, no, though perhaps the rubrics designed for assessing student performance come close. It is certainly good to ask whether the specificity of the standards actually applies to the quality of the thing being judged. In the case of dachshunds, those standards may be assumed to relate to the dog succeeding in its designed purpose to hunt badgers in their dens. The second means to determine quality depends on the expertise of the appraiser. I have previously celebrated expertise as a very good correspondence warrant for claims to truth and goodness, so I do not need to repeat this argument here (see “Expertise“). In regard to art, we do face a problem, though. Since expertise is the careful application of reason to experience, its reliability is dependent on the evaluated experiences having enough similarity to be compared and enough difference to be contrasted. Presumably, the expert uses each exposure to concrete examples to further her understanding of the archetype the examples cumulatively construct in her mind. She can claim expertise only when repeated exposure has opened the essence of the experience to her analysis. Experts master a categoricality of knowledge or skill that finds the commonalities and distinctions in specific cases. The epitome of this process is case law applied in the courtroom. The law establishes the categorical lens through which specific cases are examined. We might expect that the law is a field deeply indebted to expertise for its competent practice. In all cases of expertise, correspondence judgment pits the specific example against the archetype the expert has come to understand through repeated exposure to its varied instantiations. I stand by the argument that expertise, properly developed, may prove a potent alternative to articulated standards. Just as the evaluator might find her 1:1 correspondence in the comparison of the example to the standard, so too might she find it in the comparison of the example to the archetype. But this only works if the examples she reviews are alike in some essentials and different in others. If her examples are too similar, say those she confronts day after day on the assembly line, her experience will never produce the required distinctions to develop the archetype. In art criticism, the problem is likely to be the reverse, as the essence of art is to produce products that are unique and beyond our ability to categorize, as Kant maintains in his Critique of Aesthetic Judgment (see “Awe“). The art critic, seeking the common thread of quality in the manifold original works she inspects, must find the effort futile and frustrating. I leave it to the reader to investigate whether articulated criteria or expertise can be possible in some of the other fields mentioned above. There is a kind of intermediate choice, however. The critic may abstain from any judgment establishing the concrete worth or beauty of an artistic creation and instead form a judgment on the quality of the work as it represents its era. Now this is in no way a correspondence judgment of the absolute quality of the work or, heaven forbid, on its beauty. It is a less ambitious judgment, and so long as the critic or viewer makes that clear, she may speak her judgment and its warrant in perfect comfort. Much of this sort of analysis focuses on form, genre, or movement of the work as it compares to or differs from other works in the same category. From a purely historical perspective, for instance, these three portraits visually illustrate the movement from early artistic modernism to postmodernism. Vermeer worked in the rosy dawn of modernism as artists secularized and dimensionalized their works to suit a new commercial class. The representational quality of the work and its brilliant homage to individualism and daily bourgeois life all reflect what modernism would come to be. 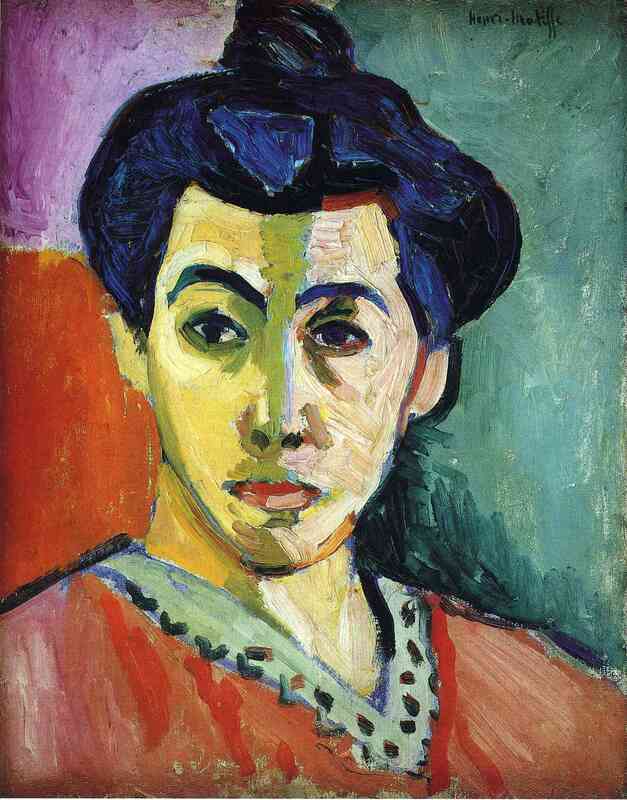 Matisse’s portrait vivifies the expressionist experimentation of the new age, so full of disdain for the kinds of values Vermeer might have begun to represent. Picasso’s takes that infatuation with novelty to new heights with his focus on pure planes of color and skewed dimensionality. Now this critique may or may not be accurate. The crucial issue is that its accuracy, like all correspondence truth claims, may be judged. 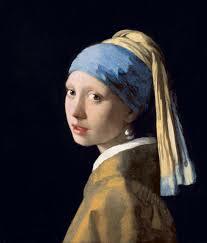 I do not see how one can be an art critic, but I certainly can understand how one can be an art historian. Notice that none of this attests either to the quality of the work or to its beauty. It is a kind of sleight of hand if critics use this kind of thing to make us think their correspondence judgments on art do more than comment on a work’s place in a larger canon or in some tradition, but if we don’t know the defining characteristics of the standard that is applied, we must take the critic’s judgment on authority, a very weak correspondence judgment at best for two reasons. First, we live in an era in which all authority has fallen into a deep disrepute (see “Modernism and Its Discontents“). Second, when standards are in doubt, authorities tend to differ and that is unfortunate, for authority doubted is authority destroyed. The collapse of authority in general can be traced to just this cause (see “Premodern Authority“). It is one thing to have a discursively written standard for dachshund breeds that precisely guides the dog show judge to calibrate this dog against that standard, but when the standard is as vague as the generalized mood of some culture and when each work of art challenges our skills of rational categorization by definition, and when so many bloated and bogus aesthetic notions — they cannot be dignified as theories — descend upon us from our Victorian forebears, what clarity can we expect from art “experts” on aesthetics? Aren’t we more likely to hear some disguised evaluation of genre, monetary value, or relation to the cultural values of the critic? One glance at the portraits above should convince us that these standards have, shall we say, evolved since representation was perfected in Renaissance Italy. What began as an effort at mimesis, a representation of reality, very quickly developed allegorical and metaphorical flourishes as we see in the Vermeer. Pure representation might demonstrate craft, but pictorial art demanded more, at least until representation itself faded back toward two-dimensionality, as the Matisse demonstrates. Now that obvious change carried social meaning, though critics disagree about it in terms of both causes and effects, having devoted thousands of pages to theories of the economic, political, and social factors involved. No consensus has emerged, of course, but all critics concur that the change, however it may be characterized, was highly significant for a seemingly infinite number of reasons. The high-sounding nonsense that bracketed Impressionist and Expressionist works at the end of the nineteenth century was only one slice of Victorian pomposity, but as the Picasso shows, it did not last. The break from representationalism around the turn of the twentieth century was part of a broad revolution against modernism itself that affected nearly every human endeavor (see “Postmodernism Is Its Discontents”). Historians, like art critics, have focused on the political elements of this revolution. Indeed, the social construct that artists work within today began with the pictorial art of the Expressionists and the Abstract Expressionists at the beginning of the last century. It is a political and epistemological theory far more than an aesthetic one. It imagines persons so formed by their environment, both cultural and political, that they merge into it seamlessly, absorbing the values it projects without objection. The culture is like water to fish: it surrounds and supports and enables their survival, but it also limits their existence to what it provides. In this view, art, which Kant saw as a disruption in the normal categorization of perceptions for use, can function as an even greater disruption, estranging persons from the cultural waters in which they swim by violating conventions and forcing new perspectives. If persons are molded by their class, gender, race, religion, or nation, they will find it difficult to either see the conformist pressures or resist them. But art, so the theory goes, can alienate persons enough to make them both see their entrapment and possibly discern a means of escape. Obviously, this alienist aesthetic theory drives more than pictorial art. For a century it has moved music, theater, film, fiction, and poetry. The plastic arts have also embraced it as one can see in brutalist architecture and abstract sculpture. Study the Picasso portrait after examining the other two to see it in action. Now if your goal as an artist is to disrupt my complacency and have me see the world in new ways, novelty will prove absolutely necessary, and this constant urge for the new has moved all of the arts for the last century, increasing the challenge to critics who find artistic movements as motile as a Calder mobile and as inscrutable as a Warhol soup can. In an environment of incessant innovation that constantly screams for attention as it assaults the conventions of its audience, judgments of aesthetic quality become irrelevant. Political, revolutionary, unprecedented, odd: many descriptors apply to the art of the last century. Standards do not. I certainly think it possible to warrant claims to beauty just as we warrant claims to goodness and truth. But the problem of specification grows in difficulty as we move from the less to the more abstract judgments. It may be that claims of quality can be based on popularity or financial value, but the warrants that validate them are not germane to the aesthetic quality of the work. Just as it is very hard to justify claims to moral goodness, so too are we challenged to find some correspondence basis for judgments of aesthetic quality. Perhaps our valuation of harmony, proportion, and unity will one day be rooted in neurology, or our aesthetic sense one day traced to buried roots in human sexuality. Or we may find that sense profoundly connected to natural forms that our species has so far failed to isolate and identify. For now, we should be careful about the kinds of language we use and the kinds of warrants we appeal to when we venture into the alluring realms of what we choose to call beautiful.